Generation Z is among us. Today’s young graduates have more options in life than the past generations ever had. One of them is to start your own business after graduation. With a little knowledge, funding and a bit of research, you might be able to work out a small start-up and perhaps on your way to greatness. Entrepreneurship – As lucrative as it sounds? In a recent survey, it was found that the young generation are very keen and interested on brands that have an entrepreneurial story. These stories become inspiration to them and would most likely drive many to venture into something similar. Who are the successful entrepreneurial stories? With so many success stories to springboard the young to success, there is no lack of examples for follow. Is that right? It might not be. Here are some of the top misconceptions that the young have about entrepreneurship. Marketing is always the part that needs the most funding. As such, entrepreneurs tend to give this a miss to channel funds to another area. A great product is great because of marketing. Your market must know what you have to offer, then they will come. In today’s marketing environment, the more disruptive you are, the better it is. 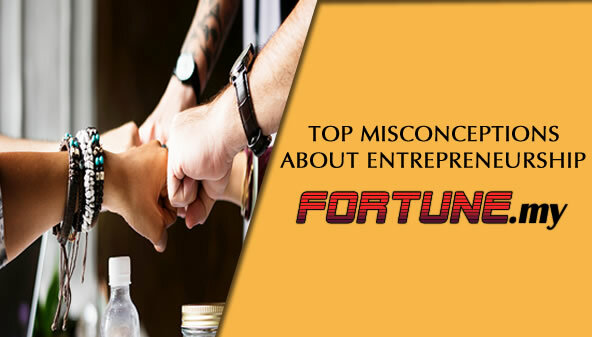 This misconception is among the most prevalent among new entrepreneurs. You want to believe that only the best idea will work. The problem is, there really isn’t any more best idea. Remember that having a good idea is an invention and nothing close to entrepreneurship. The ability to execute the idea is what will bring you to greatness. Your business idea is good. You have the best people you can find. And they become auto-pilot to a successful venture. That is wrong! No matter what you do, your smart employees need to be managed well. See how Google employs the best and goes all out to ensure they are happy in the working environment? So, you think you have a great business idea and when you launch it, the customers will come because your product is THAT good? Think again! You must know what your customer wants, then work towards it. The iPhone is one success story. You are young and energetic. It is quite normal for you to be impatient as well. Whatever venture you go into, it will take time. Some success takes longer than others. Once you have your business in place, nurture it. You believe that your young and dynamic mind is the formula to success and you do not need the older so-called entrepreneurs. While you can have the ability to innovate, it is the experience of the more seasoned business people that could give you the knowledge and drive. With the misconceptions outlined and explained, you can now move forth with what you have in mind. Being an entrepreneur is all about trial-and-error. You would most likely not get it right the first time but you could succeed trying. But if you know what you should not be thinking and be aware of the misconceptions (or fallacies) or entrepreneurship, it could well help you to have a good head-start. Making mistakes are normal but knowing a mistake and then making it might just be a waste of time, cost and effort.